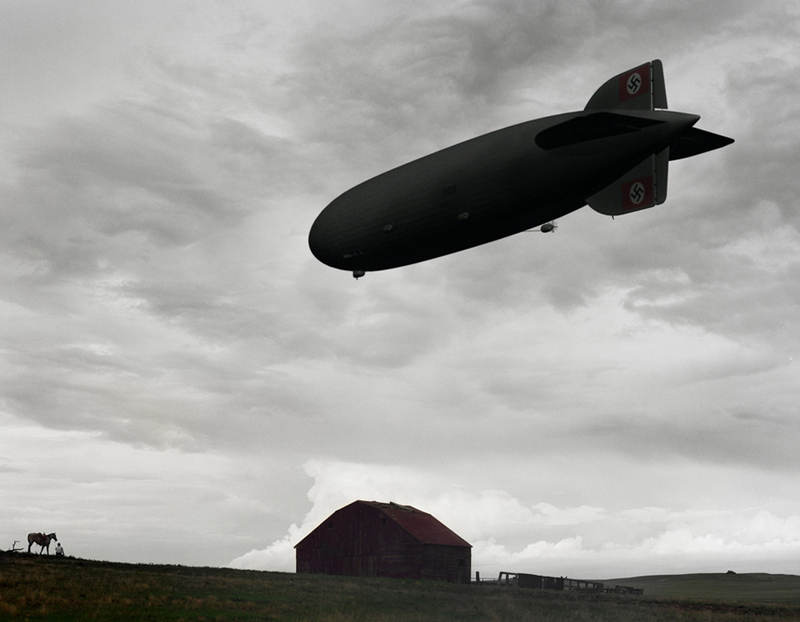 The airship “Aegis”. From Frank Reade: Adventures in the Age of Invention. 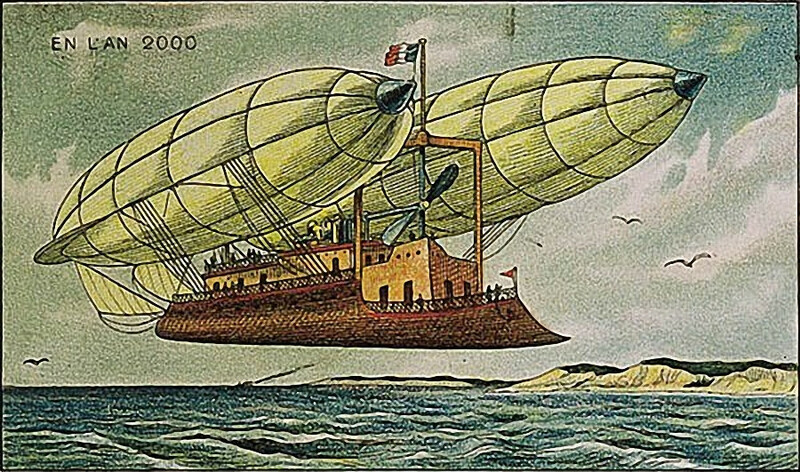 La Boite Verte has a nice overview of the ill-fated American airships USS Akron and USS Macon, rigid airships that acted as “flying aircraft carriers”. 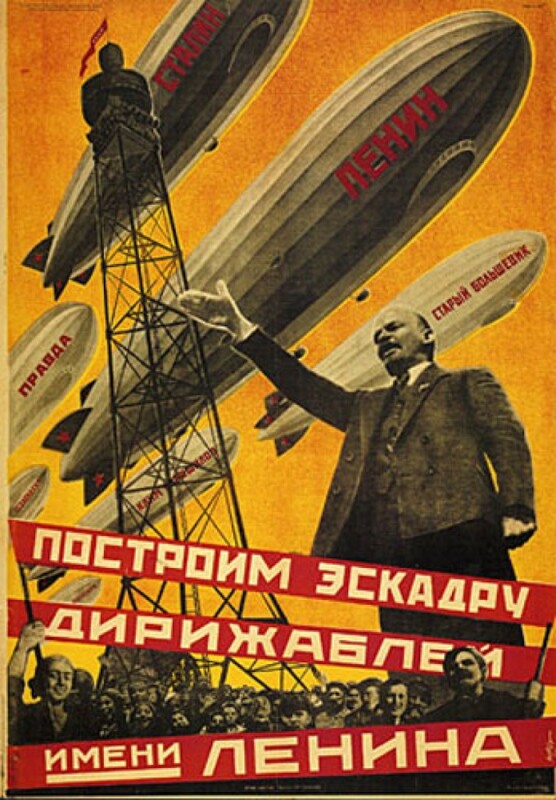 Built in the late 20’s/early 30’s for the U.S. Navy, the two ships were, at the time, among the largest flying objects in the world and were only about 20 feet shorter than the Hindenburg. 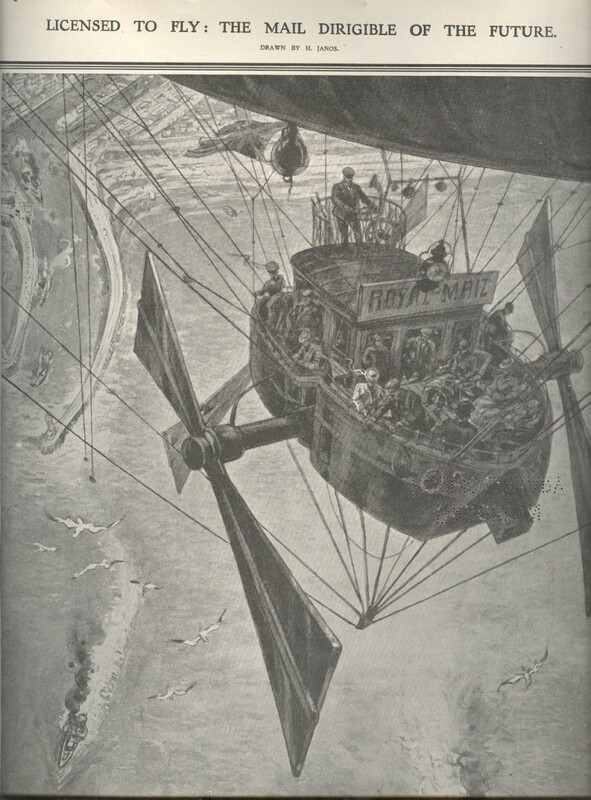 The airships carried four (or five) Sparrowhawk fighters that were launched and recovered by means of a “trapeze”, shown in one of the photographs above. Both the Akron and Macon were troubled by accidents and lost due to poor weather conditions. 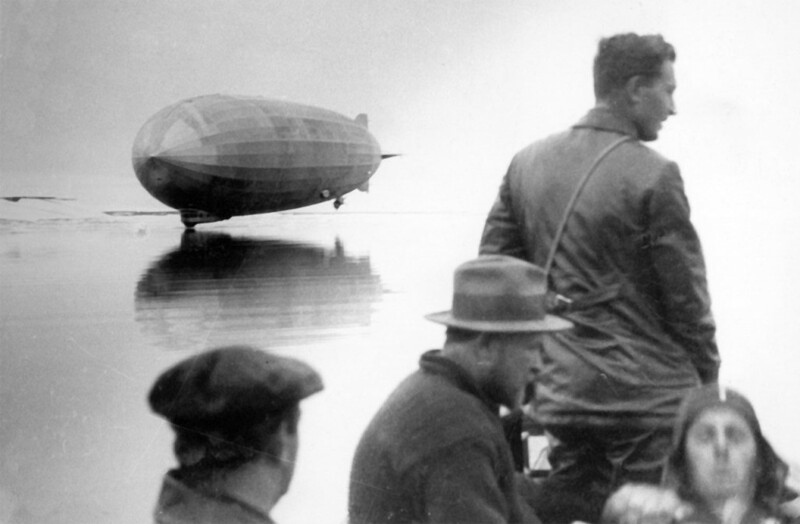 When the Akron went down in a storm in 1933, 73 crew were lost including Rear Admiral Moffett, one of the Navy’s leading proponents of the use of rigid airships. The event marked the beginning of the end for the use of such vehicles by the Navy. 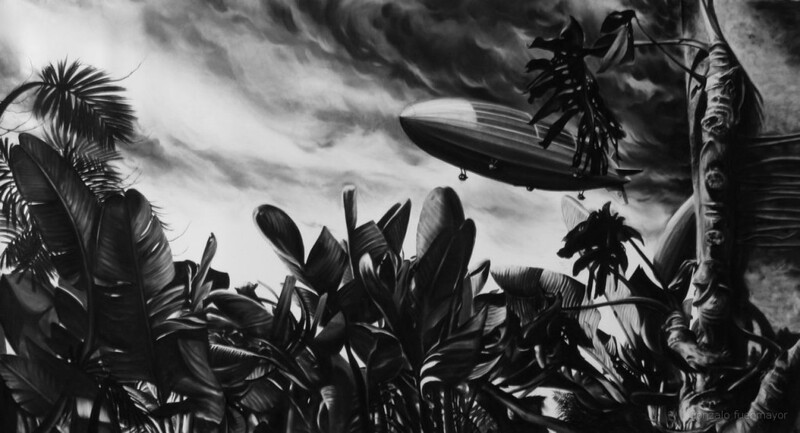 This entry was posted in Front Page, Uncategorized and tagged airship, history, Imported, Posthorn, rear admiral moffett, Tumblr, us navy, uss akron, uss macon on 28/11/2011 by John. 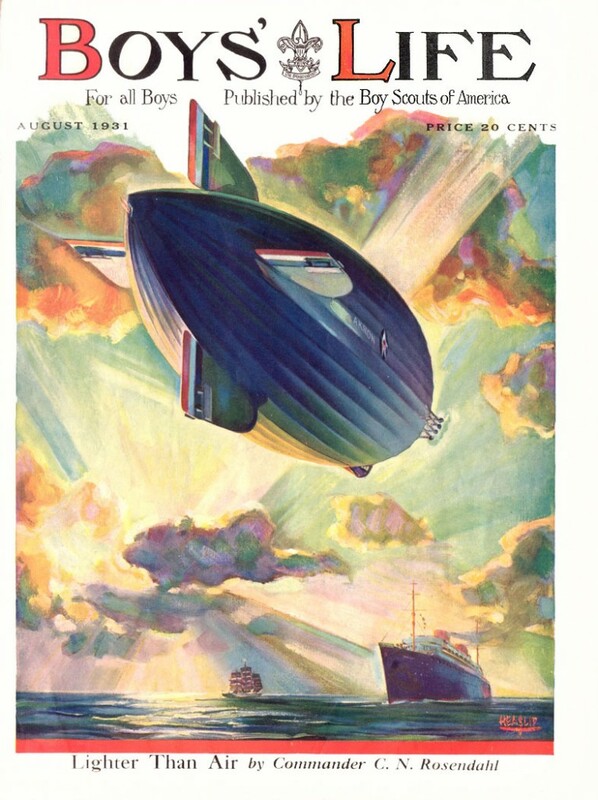 “Lighter than Air”, illustration of the USS Akron by William Heaslip, 1931. “Apparition”, charcoal on paper by Gonzalo Fuenmayor.